One thing is for sure. Luxury stands for something different today than it did a decade ago. And audiences are changing too. 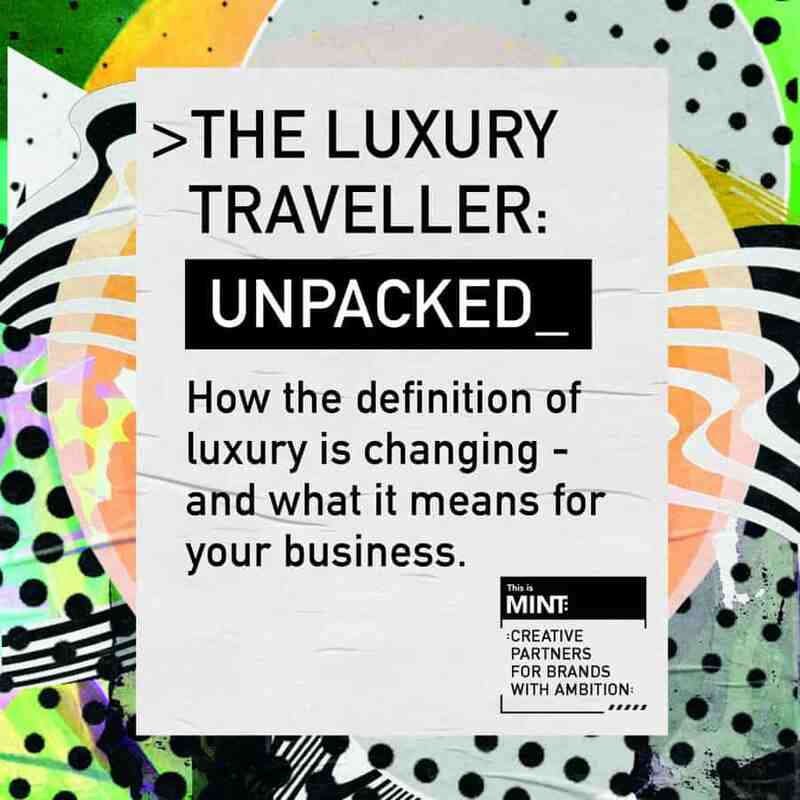 Discover the key insights for travel brands as the definition of ‘luxury’ changes – with profound implications for product development & marketing. Read / Download the pdf here.